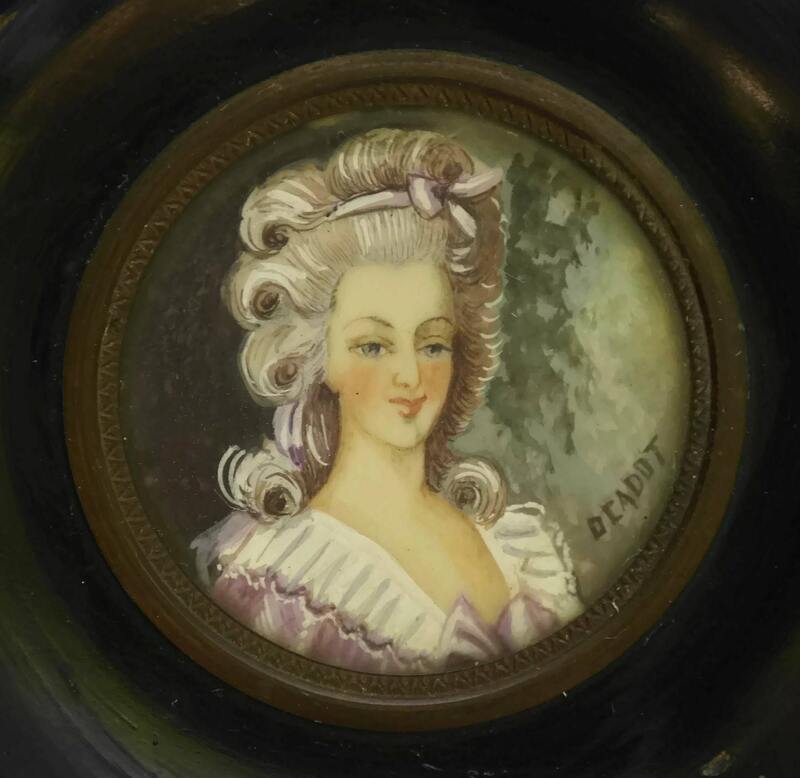 19th Century French Antique Miniature Marie Antoinette's Portrait Painting Signed Deadot. 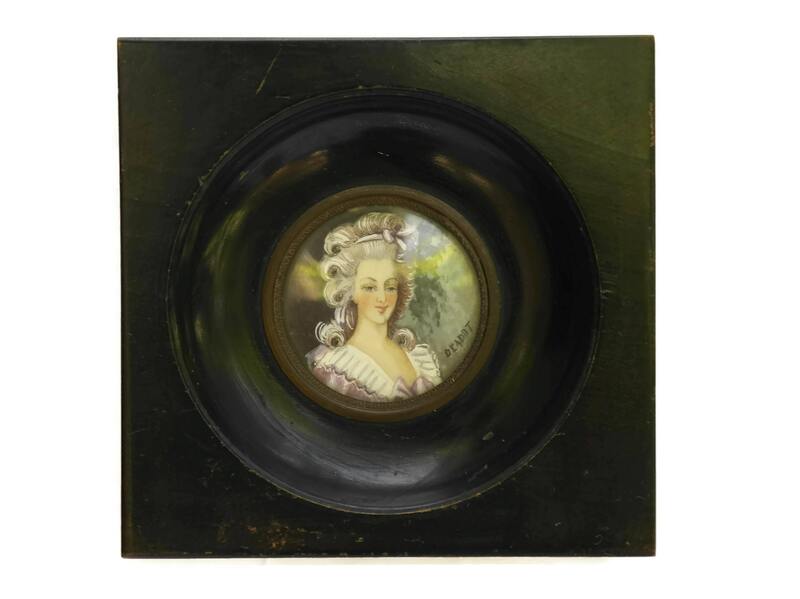 An exquisite antique miniature portrait painting created in France during the late 1800's. 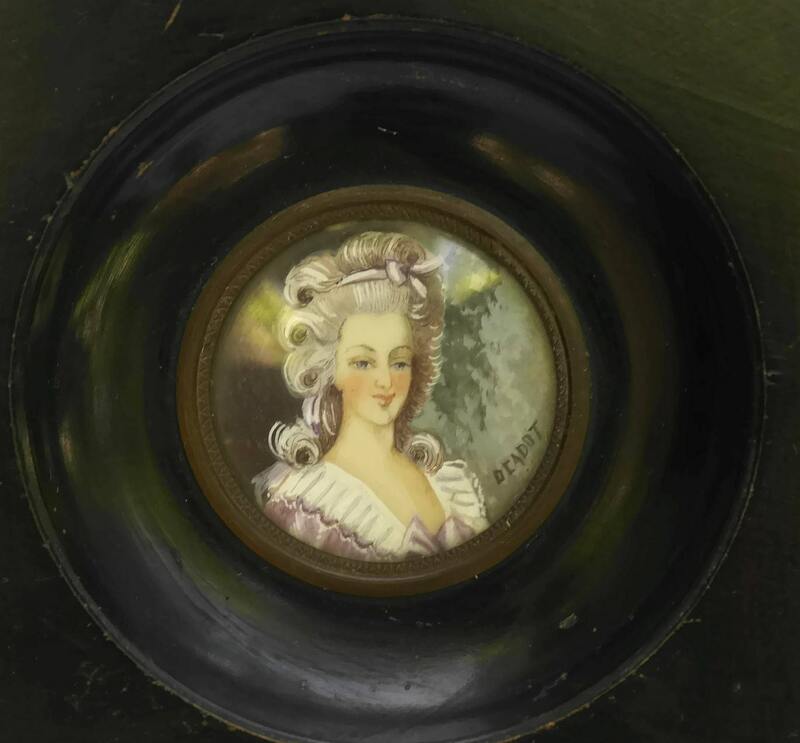 It features the portrait of the queen Marie-Antoinette dressed in fine robes and extravagant hairstyle. The gouache painting has been framed under glass in a broad wooden frame with a brass bevel around the glass. It has been signed by the artist Deadot. 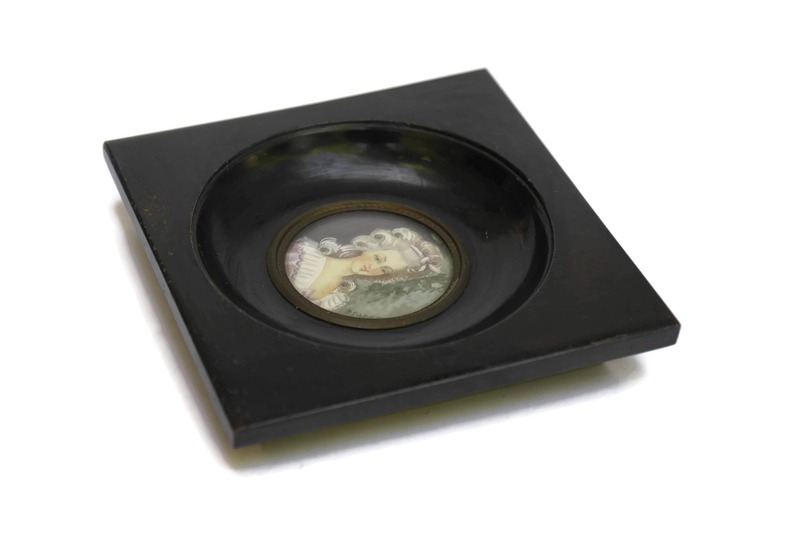 The portrait is 1 1/2" in Diameter (4 cm). 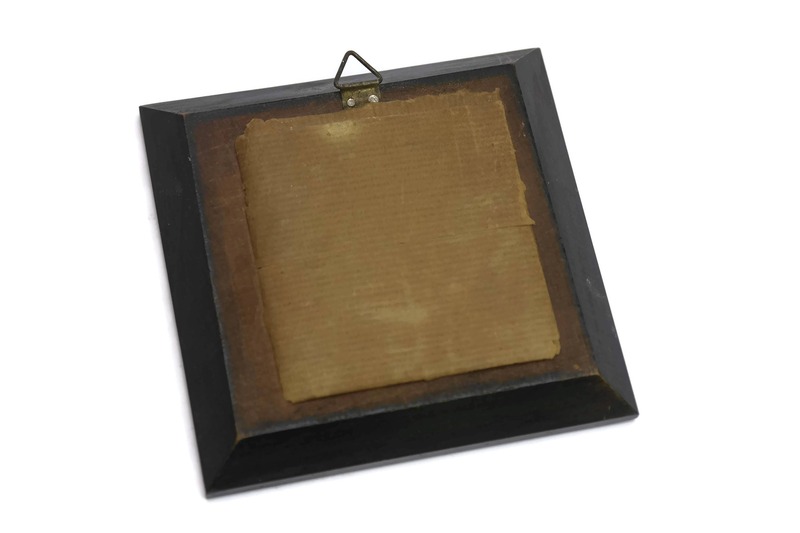 The antique miniature portrait is in very good condition with light wear to the frame in places.